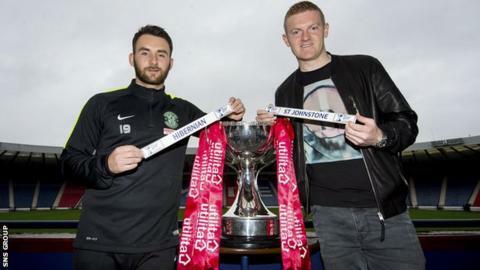 St Johnstone are dismayed by ticketing arrangements for their League Cup semi-final against Hibernian on 30 January. Saints fans were initially allocated Tynecastle's Roseburn Stand with the proviso that space in the Main Stand would be available if there was demand. "We have been advised that security and safety matters - specifically segregation - are under review," said the Perth club via a statement. "The club are aware of the frustration felt by the fans." Saints, twice beaten finalists in the competition, added: "We wish to assure those fans that the club is in daily dialogue with the SPFL on the matter. "With only 10 days remaining before the match we are still awaiting a definitive outcome. "The outcome of this review will determine whether additional tickets can be provided and we can only hope that the decision will be made with little further delay, allowing our supporters to make travel arrangements if tickets do become available."